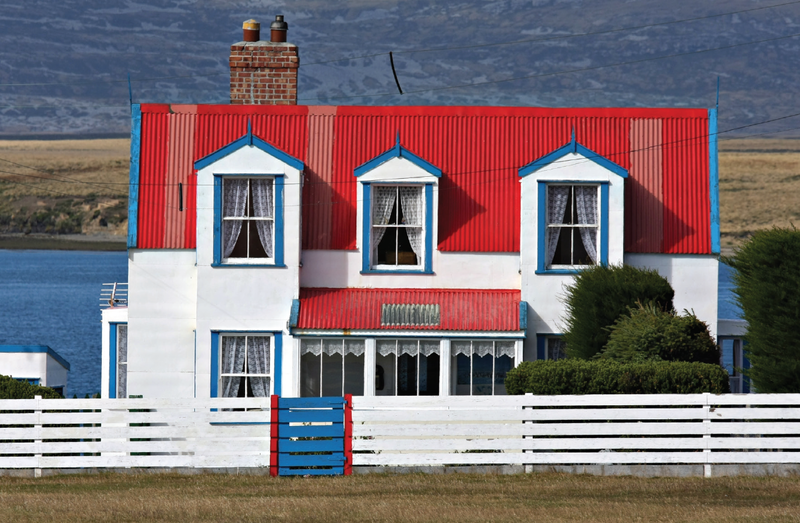 Thirty-ﬁve years since the Falklands war, these islands are witnessing another invasion as tourists discover their unspoiled landscapes and fabulous wildlife. No one is quite certain who first set foot on this windswept archipelago, 300 miles east of Patagonia and surrounded by the chilly expanse of the South Atlantic. But we do know that, until small numbers of Europeans began to arrive in the early 19th century, the penguins had it to themselves. Most settlers came from the British Isles, so in 1833 the United Kingdom asserted authority. And then, after a brief flurry of shipping traffic during the Californian gold rush of the 1850s, the inhabitants settled down to a quiet life of sheep-farming (today the Falklands can boast 157 sheep per head of population, while nearest rival New Zealand can muster only seven). The rest of the world remained largely oblivious of their existence – until Friday 2 April 1982, when Argentina claimed sovereignty and invaded. Three days later Margaret Thatcher’s government dispatched a Royal Navy task force, and Britain was at war. For the next ten weeks, fighting in the South Atlantic dominated the news, making household names of reporters such as Brian Hanrahan, who sent the famous “I counted them all out and I counted them all back” despatch from HMS Hermes, following an operation by Harriers of the Naval Air Squadron. Over 74 days, during which the names Goose Green, Mount Tumbledown and San Carlos Water became etched on the public memory, fighting claimed the lives of 255 British military personnel, 649 Argentines and three islanders. Then, on 14 June 1982, the Argentine forces surrendered and British sovereignty was restored. Victory is often credited for helping Margaret Thatcher to secure a second term as prime minister, thus changing the course of UK politics. The islands themselves have altered little since the conflict, yet although the weather, the remoteness and the rugged Dartmoor-like terrain may not be to all tastes, they give the islands a unique appeal to a certain sector of the cruise market, and the likes of P&O, Princess, Celebrity and NCL have all become regular visitors. In fact, tourism is now the second largest contributor to the islands’ economy (after sheep, of course). 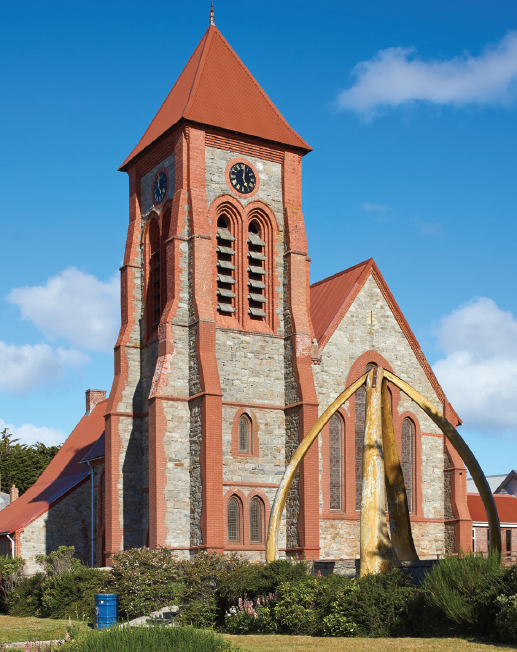 Visitors come to see the islands’ wildlife and to take battlefield tours, but their numbers are still relatively low, so now is an excellent time to explore what the Falklands have to offer. If it’s birdlife you like, you’ll find the islands are a twitchers’ paradise. 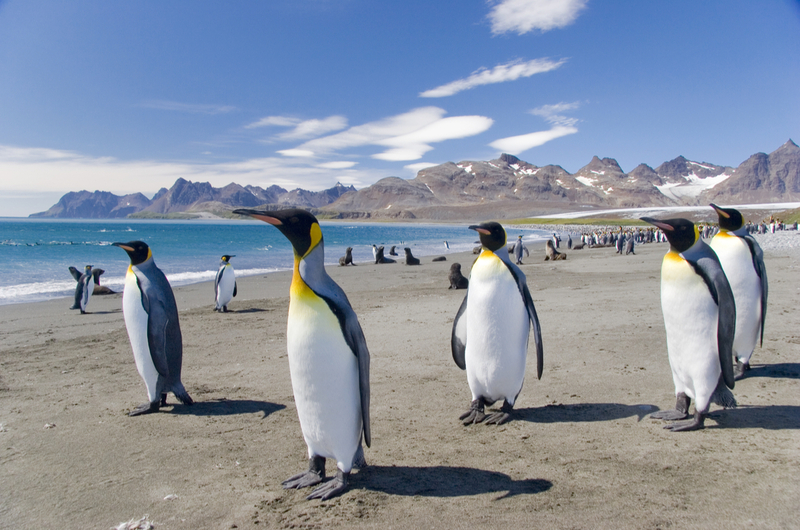 Majestic king, feisty rockhopper, raucous gentoo and shy Magellanic penguins are easy to spot, with the more elusive macaroni penguin and even some hybrids also visible to the patient observer. More than 70 per cent of the world’s black-browed albatross breed around the islands, while the archipelago is also home to sea lions, fur seals and the aptly named elephant seal. Dolphins play in the surf and love to follow fishing boats and cruise liners alike, and resident orcas are frequently seen along the coast of Sea Lion Island, on the lookout for their next meal. Jeep excursions are available to the remoter regions, for wildlife fans and battlefield buffs alike, but it’s definitely worth a walk around the capital to soak up the atmosphere (you can choose to be guided, if you wish, for a small fee). While the wildlife is undoubtedly spectacular, Port Stanley can seem almost disconcertingly familiar. Although 8,000 miles from the UK (and four hours behind), it remains resolutely British. The Globe tavern (one of four pubs on the islands) is a welcoming hostelry, though beer aficionados will be sad to note that it sells only bottles and cans, since the closure of the local Penguin micro- brewery. The small supermarket is well stocked with home comforts such as Marmite and Heinz baked beans, while the local lamb and fish are as outstanding as you’d expect. There is still a permanent garrison, ensuring that the 3,000 islanders’ wish to remain British (expressed by 99.8 per cent of voters in a recent poll) is respected. The islands celebrate Margaret Thatcher Day on 10 January, and there is a street that bears the Iron Lady’s name. Stanley also has the most southerly Anglican cathedral in the world, and there is even a local paper (inevitably called Penguin News). So while the Falkland Islands will never attract celebrities, shop-till-you- droppers or beach babes, its untamed, unspoilt, natural beauty has undoubted appeal. Add world-class wildlife and a pleasingly British atmosphere and it’s easy to see why, three decades on, it’s not planes that are counted out and in, but cruise ships. 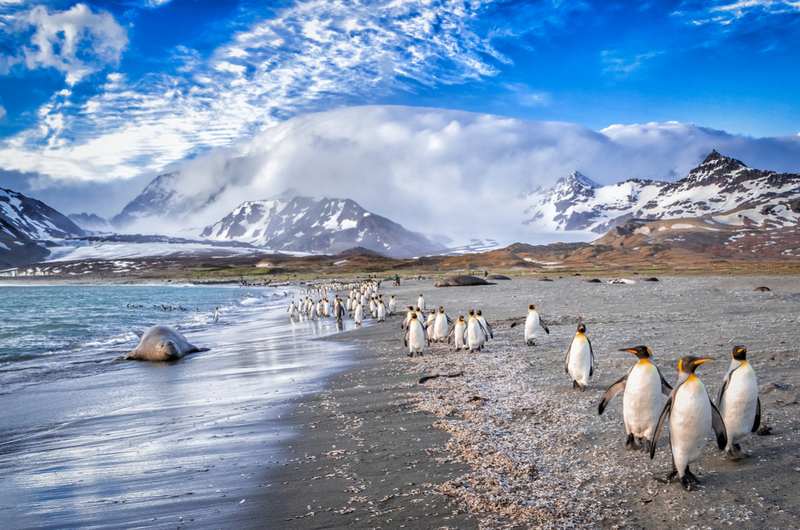 14 nights aboard Celebrity Inﬁnity, departing 21 January 2018, round-trip from Buenos Aires via Ushuaia, Cape Horn, Paradise Bay (Antarctica), Elephant Island, Port Stanley, Puerto Madryn and Montevideo. Prices from £2,200. See celebritycruises.co.uk or call 0845 163 5735.